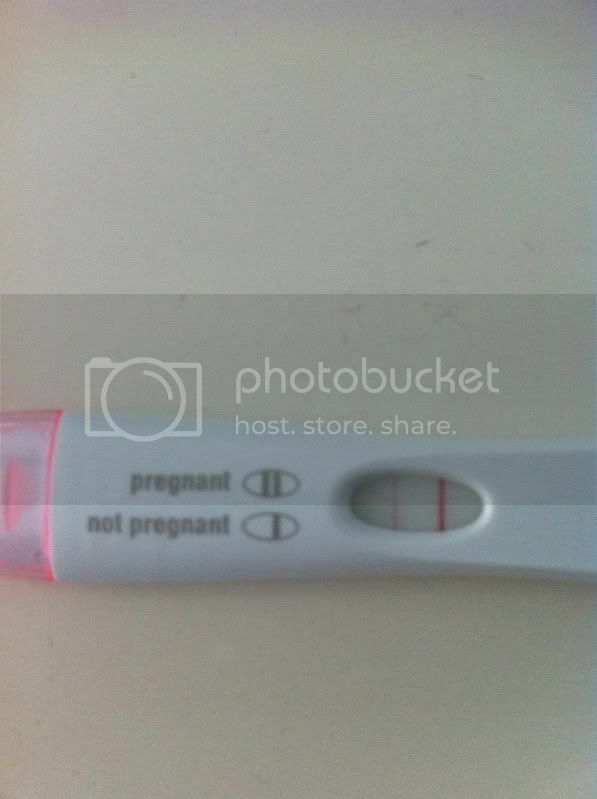 Today is the day of my final pregnancy test and I am a nervous wreck. The final days of bedrest turned out well, as it was Thanksgiving weekend, and we had my mother in law, mom, and brother come over. Their visit really kept me occupied, although I know that I probably talked about nothing but getting pregnant. John has been, as always, beyond incredible — he cooked the entire Thanksgiving meal and cleaned up afterwards too. On Saturday night, I cheated and took a home pregnancy test. I only got about 5 drops of urine on the stick, so I knew I messed it up, although I did see a faint second pink line on the test. My mom, brother, and John all confirmed that yes, there was indeed a second pink line, albeit faint. John and I were a little upset, as we thought this was not a good sign. John told me to take the test again in the morning so that the hCG in my blood, if any, would be more easily detectable. Sunday morning, I woke up at about 5:30 a.m. to go potty and took the test. In my groggyness and rush to get back into bed, I thought that the line was, again, faint as from the test from the night before. I woke John and told him about it and told him I was upset. I spent the next hour in bed looking up information on the internet. Turns out, the biggest reason it is not recommended for IVF patients to take home pregnancy tests is because of false negatives. Many tests do not detect the traces of hCG as early, so many women end up being initially disappointed before finally finding out from their doctors that they are, in fact, pregnant. I went back to sleep and woke up at about 8:20 a.m., looked at the test again, and saw that the second line was not faint, but definitely defined. IT WAS POSITIVE. I was ecstatic, and immediately showed my mom and brother. I told John that it was positive and he said he knew it was, as he checked it when he got up, and he thinks I may not have waited long enough earlier to see the result and / or in my sleepy stupor, I just didn’t see it clearly. Either way, the test was unquestionably positive. I went to PRC on Monday morning for my first blood test and was disappointed to find out that they would not be conducting the pregnancy test until they get both blood samples from that day and Wednesday (today). So I decided that I would go and buy another box of pregnancy tests at the market on my way home from work. Tuesday morning (yesterday) I took the HPT again and the result was the two pink lines and the second one was distinctly darker than the one from Sunday. 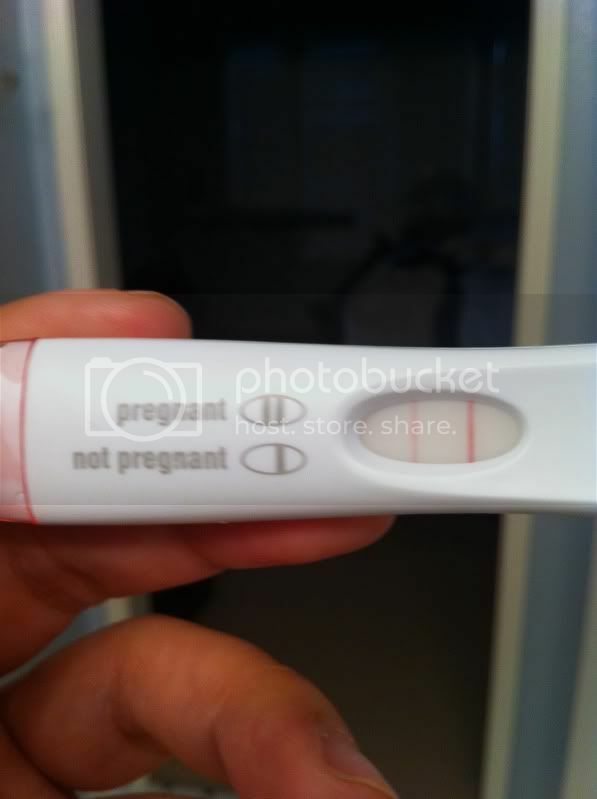 I was ecstatic, although I tried to bottle the excitement as we are really wanting to wait until this afternoon’s results from PRC to confirm that I am definitely pregnant. Here are the two tests next to each other . . . see the difference? I confessed to Karla at PRC on Monday that I did take an HPT and showed her the picture of the result. She said that it was a good sign, especially if the second line is getting darker with each test I take, and encouraged me to keep taking tests at home to hold me over until we receive the official results from the doctor. 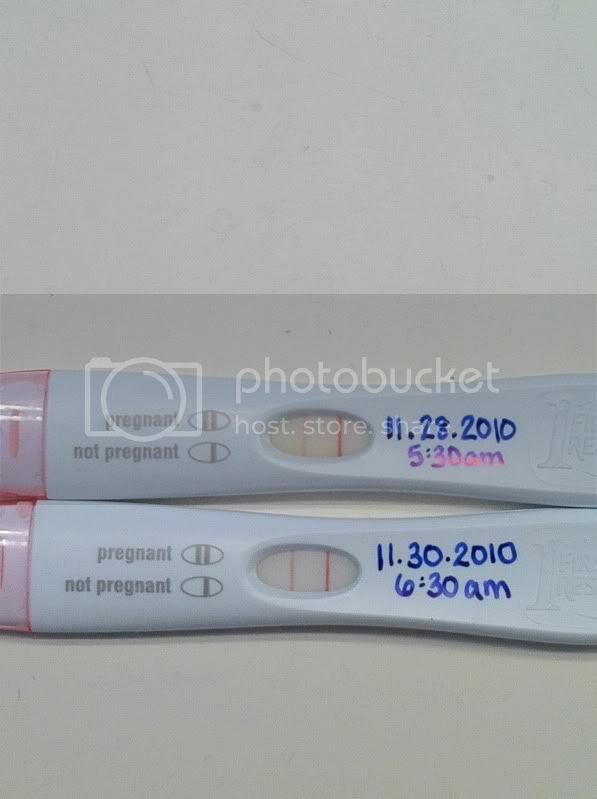 She told me that she knows about my concerns about a false positive, but to rest assure that the hCG shot I took (before the egg retrieval) was over 2 weeks old, and there would be no traces of THAT hCG by now, and that the hCG that the pregnancy tests are detecting are more than likely produced by my body, especially since the lines are getting more pronounced. (Remember: hCG is a hormone that the body produces when it is building the placenta). So today, I went in at 8am for the blood samples, and have to wait the excruciating 7-8 hours until PRC calls me and John to give us the results. I mean, are they kidding?!?! 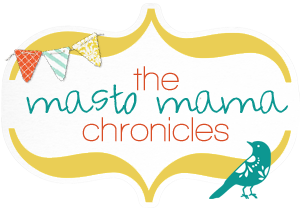 I have not been able to concentrate at work (hence I am blogging instead of working), although I am thankful to be here as I have plenty to keep me busy. I called my mom in tears as I have been under so much anxiety since I got back to my desk after PRC this morning. I was so confident yesterday and for some reason, I am just so fearful today. My mom reminded me, though, that we have done everything we need to do already, and that as long as I have said my prayers, that’s all I can do. Everything else is in God’s hands now. She also reminded me that I must not forget all our friends and family who are praying along with us, especially today. I am offering it all to Him, especially today. He knows what we want and what is best for us. We have prayed and prayed fervently for our wishes and I know He has heard us and is keeping us close to His heart.